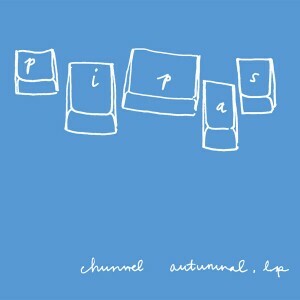 Long awaited reissue of the magnificent Pipas debut 'Chunnel Autumnal' released in 2001 on English indie Long Lost Cousin. At the time, Mark Powell and Lupe Nuñez-Fernandez were just another unknown South London duo writing songs to record on their laptops and now, nearly four years on, they have moved to East London but are still the same unassuming duo writing songs to record on their laptops. Somewhere along the way, however, Pipas became an international sensation, selling thousands of records, topping countless year-end lists, and charming live audiences in England, Scotland, Spain, Sweden, Italy, Denmark, Australia, USA and Greece. Some say that Pipas is nothing but an excuse to see the world and meet people and they may be right. Their bittersweet, melodic indiepop with drum'n'bass, bossa nova and electronic influences has a continental naiveté about it - an inconceivable mix of sophistication and simplicity. Their records are heralded as modern and cool while earning glowing reviews and favorable comparisons to pop legends St. Etienne, Stereolab, Dubstar, Birdie, Strawberry Switchblade and Pizzicato Five. Limited to just 300 copies in its initial release on 10" vinyl, the original 'Chunnel Autumnal' has achieved a legendary status with many fans only hearing the songs live or on tape. This brilliant reissue combines the eight songs from the original release with three bonus tracks from the debut Matinée 45, 'A Short Film About Sleeping,' collecting all Pipas songs previously unavailable on CD into one suave digipak. An essential release for indiepop fans, 'Chunnel Autumnal' is a vital review of the innovative debut of one of today's most popular bands.